The weather is turning colder and you are starting to think about your favorite winter activities like skiing and snowboarding. Instead of planning your skiing adventure in the Austrian Alps, what about planning a hiking adventure in them this summer! It is the next best thing! The air is fresh and crisp; breathing it in will relax you instantly! Once you are here, you have the option of spoiling yourself at the spa or being more adventurous and taking on the mountains by hiking, biking, etc. 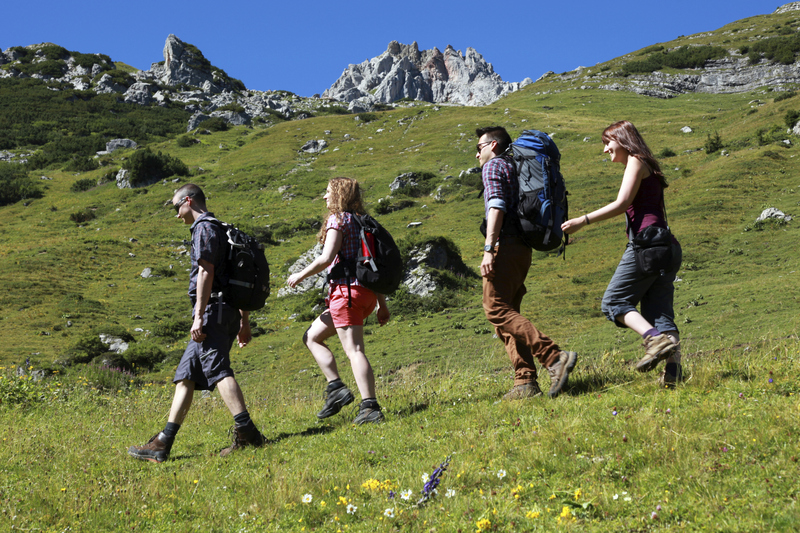 There are over 300 km of hiking trails at your disposal while you are visiting the Alpine Center in Austria. The hotels have hiking maps available for you! You can take the Grafenberg cable car for amazing views of the surrounding area. Once you get off the cable car at the top of the mountain, you have to option of hiking back down. If you are feeling adventurous and wish to do more than just hiking, you can go Whitewater Rafting! Who wouldn’t want to raft in the Alps? Class III rapids in the Enns River await you! Then there is always Eisriesenwelt or the Werfen Ice Caves. The Eisresenwelt cave is the largest ice cave in the world! The cave is 42km long and features astonishing stalactites such as Frigga’s Veil. The ‘World of the Ice Giants’ was first made known to the public by Anton Posselt in 1879, before he wrote about it, the cave was known only by locals. 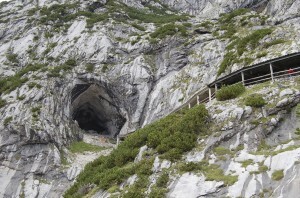 Touring this amazing cave will include roughly 14000 steps and it will be worth it! While you’re exploring the Austrian Alps, remember to take plenty of water! You are more than likely at a higher altitude than you are used to so you need more fluids! Hydrate, Hydrate, Hydrate! Be sure to check out all of our great travel tips about Austria! This entry was posted on Thursday, November 21st, 2013	at 3:12 pm	. You can follow any responses to this entry through the RSS 2.0	feed. Both comments and pings are currently closed.